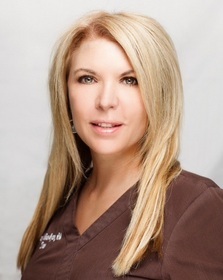 LAS VEGAS, NV--(Marketwired - Apr 14, 2015) - Mary Sullivan-Bryan, RN, a Certified Aesthetic Nurse Specialist in Las Vegas, spends a significant portion of her day administering cosmetic injectables and educating patients on the benefits and risks of these facial rejuvenation treatments. She says that BOTOX® Cosmetic, JUVÉDERM®, Restylane®, and other popular formulas are designed to temporarily enhance the youthfulness of the face, and each type can provide effects for a different period of time. While every patient's experience and length of outcome will be unique, she indicates that in general they have a prescribed effective period, and individuals should be well informed about each composition and the potential results before undergoing treatment. Cosmetic injectables can be broken into several categories, Mary Sullivan-Bryan explains. She says BOTOX® Cosmetic and Dysport® are muscle relaxers while most other injectables can be considered dermal fillers or wrinkle fillers, including JUVÉDERM®, JUVÉDERM VOLUMA™ XC, and Restylane®. Potentially, she adds, there can be a third category, known as collagen stimulators, which include Sculptra™ Aesthetic and Radiesse®. Different formulas of cosmetic injectables can last widely different amounts of time, she emphasizes, and individual experience can modify the timeframe further. She gives BOTOX® Cosmetic and Sculptra® Aesthetic as two examples of this distinction, with the former providing benefits for up to six months and the latter lasting up to five years at the outset, she explains. Ultimately, Mary Sullivan-Bryan believes that patient education is essential to long-term satisfaction with cosmetic injectables. At her Las Vegas medical spa, she endeavors to provide a helpful resource on how long non-surgical facial rejuvenation procedures typically last and how an individual can extend the benefits further with maintenance treatment. With this information, she says people can optimize their aesthetic enhancement to suit their needs and goals. Led by Certified Aesthetic Nurse Specialist Mary Sullivan-Bryan and co-directed by two board-certified plastic surgeons, Advanced Aesthetics Salon & Medical Spa offers the latest advances in non-surgical facial and skin rejuvenation, including cosmetic injectables, laser skin resurfacing, and IPL therapy, as well as salon services. The practice consists of extensively trained physician's assistants, laser specialists, registered nurses, and aestheticians dedicated to providing a safe, effective, and luxurious patient experience. For more information about Advanced Aesthetics Salon & Medical Spa, please visit advancedaestheticslv.com and facebook.com/AdvancedAestheticsLV. How Long do Cosmetic Injectables Last?